Each card has been graded by SGC. 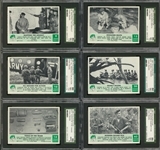 Offered is a 35-card partial set of Philadelphia Gum "Green Berets" non-sports cards issued in 1966. 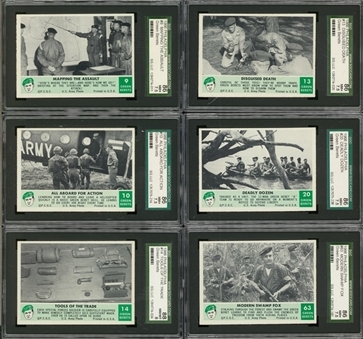 These black-and-white cards depict the Army's elite force. 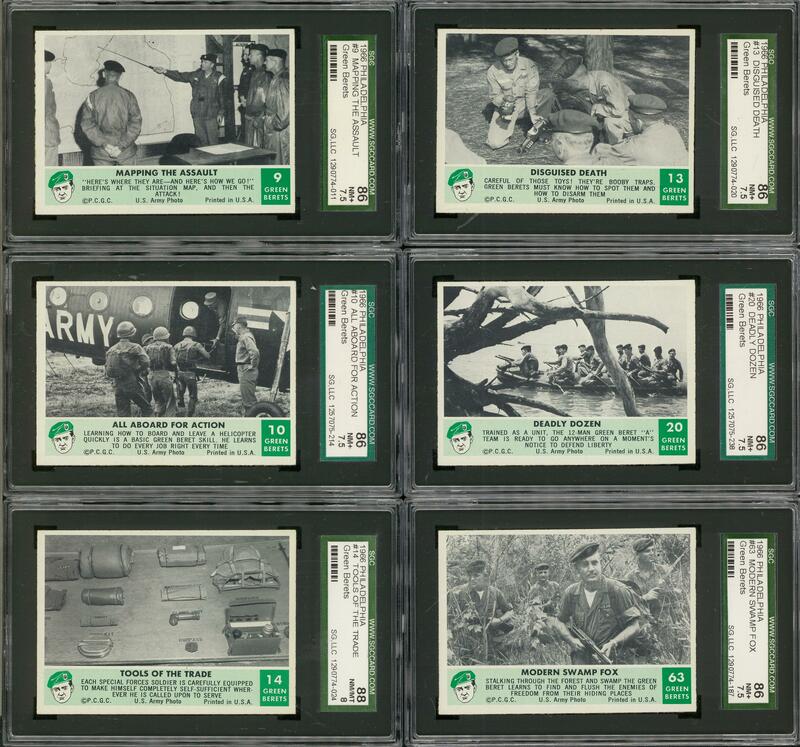 Includes: Graded SGC 88 NM/MT 8: 1 card, #14; SGC 86 NM+ 7.5: 15 cards w/#'s 4, 9, 10, 13, 19, 20, 21, 27, 28, 33, 37, 42, 47, 61 and 63; SGC 84 NM 7: 19 cards w/#'s 5, 6, 7, 8, 11, 12, 17, 18, 22, 23, 24, 25, 29, 32, 35, 43, 44, 48 and 62.